This image was captured moments before the ceremony began, as evidenced by the bridesmaid still lighting a couple of stray lanterns. 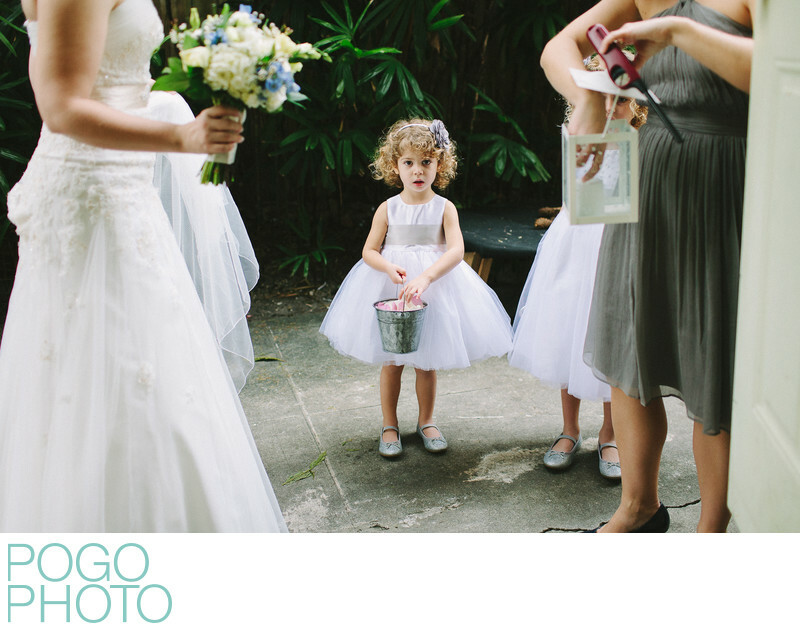 The light, fluffy dresses of tulle contrast with the stark cement flooring, and the color palette of mostly light colors is set off brilliantly by the dark greenery behind the subjects. Location: Ann Norton Sculpture Gardens, West Palm Beach, Florida. 1/800; f/2.0; ISO 400; 35.0 mm.